If you are thinking about betting on this year’s Orange Bowl, you’ve come to the right place. This football game has been held annually since 1935, and it remains one of the oldest “bowl” games in the history of the sport. In this article, you will get informed about where the game is taking place, which teams will go against each other, and what experts have to say about Orange Bowl betting 2018. Over the years, this game used to take place in the first days of January. However, since 2014, Orange Bowl has been held at the end of December. This year, the 85th edition of Orange Bowl will be played on December 29, and it will be hosted at the Hard Rock stadium in Miami Gardens, Florida. The kick-off is set for 8 PM, Eastern time. Try to get your tickets on time, as this is a popular event and over 60 thousand people are expected to come. If you’re not one of the lucky ones who can attend the stadium, you can still settle for Orange Bowl betting and make watching the game at home more interesting. Before you decide to take part in Orange Bowl betting this year, let’s introduce the teams. The two teams going against each other at this year’s event are Oklahoma Sooners and Alabama Crimson Tide. 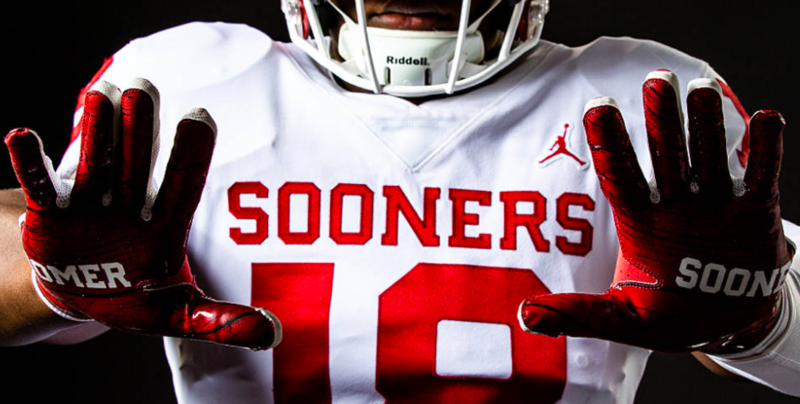 Oklahoma University will be represented by the Sooners college team. It is one of the most successful teams in college sports and they are a member of the Big 12 Conference. They finished at the top of the Big 12 standing having lost only one game the entire season against Texas Longhorns. However, in their most recent game, the Oklahoma Sooners beat the Longhorns 39–27 in the conference final. They are led by a young coach Lincoln Riley, who is in his second season with this team. Coming from the University of Alabama, the Crimson Tide football team left a great impression this year while competing in the Southeastern Conference. They won all 13 of their games and most of them were entirely one-sided. In the conference final, they beat the Georgia Bulldogs 35–28. They are led by an experienced coach Nick Saban, who is in his 12th season with the team. To properly pick your favorite for this year’s Orange Bowl betting, let’s first take a look at some numbers and see what the analysts have to say. As we have already mentioned, the Oklahoma Sooners only had one loss during the entire season. They went 8–1 in their Conference, and 12–1 as an overall result. They won all of their home games, and their biggest victory was against Florida Atlantic (63–14). The Alabama Crimson Tide went 13–0, winning almost all of their matchups by a huge margin. Their biggest rivals this season were the Georgia Bulldogs, whom they beat in the Conference finals in Atlanta. With these records, it is safe to say that both teams have deserved a place in the Orange Bowl. They have already met five times, and Oklahoma won three out of five games. Choosing the right team for Orange Bowl betting might be a difficult task, but here’s what the analysts suggest. Based on the fact that Alabama has had a perfect season so far, they are the hot favorites in Orange Bowl betting books. Money Line favors Alabama’s -570 to Oklahoma’s +470. Some issues regarding the injury of Crimson Tide’s quarterback, Tua Tagovailoa, might play out in Sooners’ favor. However, even if Alabama can’t count on their star, they should still be considered a favorite in this game. Nevertheless, it’s only one game and there’s no room for mistakes. If you’ve decided to go through with Orange Bowl betting, putting your money on Oklahoma might result in a hefty win. If you would like to bet on Orange Bowl, you should know that there are many betting apps and online operators where you can do so. Carefully choose your team, and read into some more detailed analysis. Orange Bowl betting can also allow you to bet on spreads, or over/under for total points. One thing is for certain, the game will be exhilarating to watch. To make things even more interesting, engage in some Orange Bowl betting and turn your football knowledge into cash. Or read our other articles about bowl game betting and see the Cotton Bowl betting lines.